We offer many residential outdoor plumbing services for both residential plumbing and commercial plumbing needs and projects. With more than 40 years as a Tampa plumbing company, we have seen it all and can handle it all! If you need a Tampa Plumber, call Alvarez Plumbing today! Without the proper residential outdoor plumbing in our homes and offices, we would not be able tо enjoy thе basic sanitary pleasures thаt we enjoy today. Our outdoor plumbing technicians are well equipped to handle various outdoor plumbing jobs including outdoor faucet repair, outdoor leak repair, main sewer line repair, and much more. If you are concerned or need a Tampa Plumbing Company that specializes in residential outdoor plumbing, call Alvarez Plumbing today. We provide written estimates, so there are no surprises. 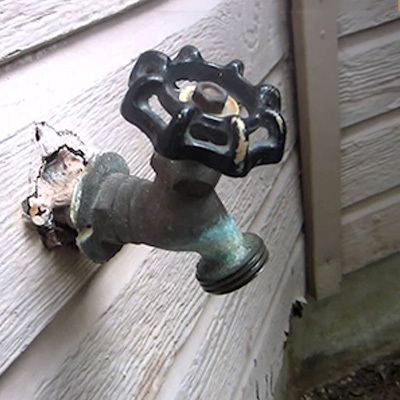 We are familiar with the complex challenges that Florida’s outdoor plumbing presents. From pipe bursts, to corrosion and gas leaks, our technicians will help solve your plumbing headaches.